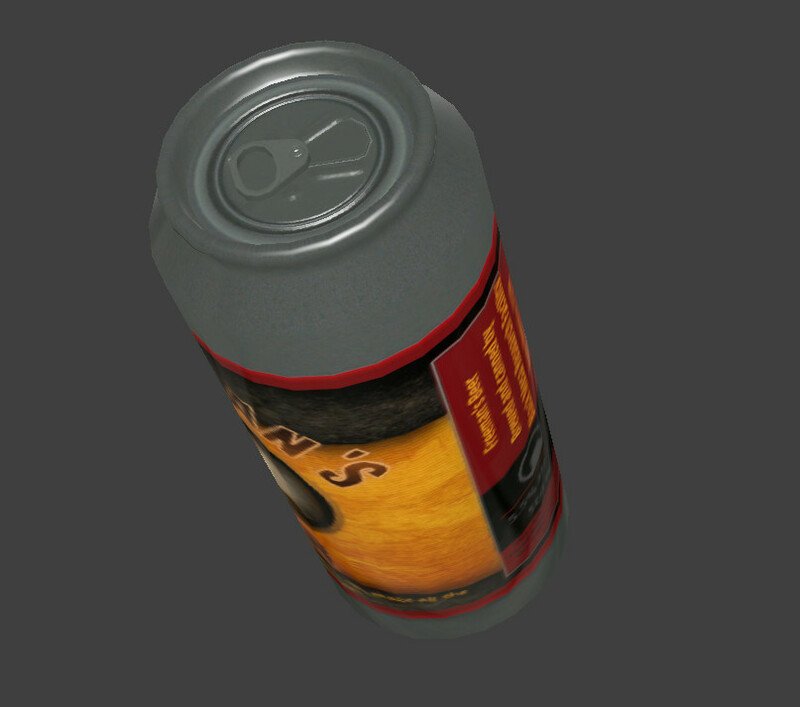 Model is finished, I do not like textures for now, I have difficulty doing them as shiny aluminum. 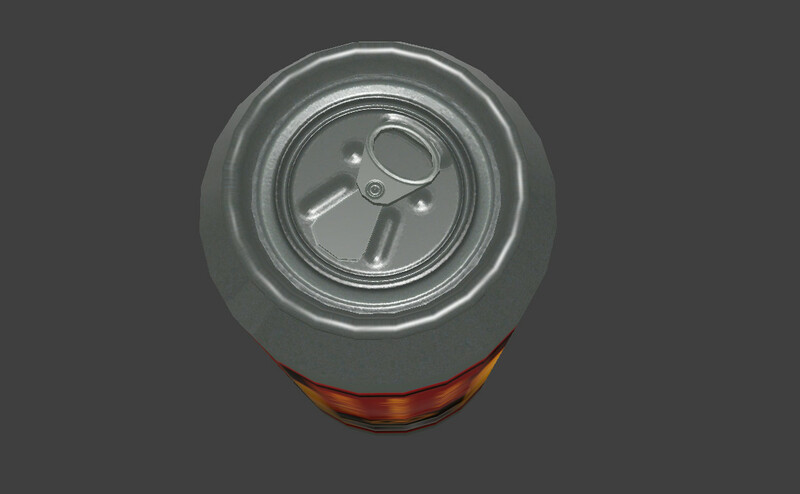 I managed to fit the model to the original animation. 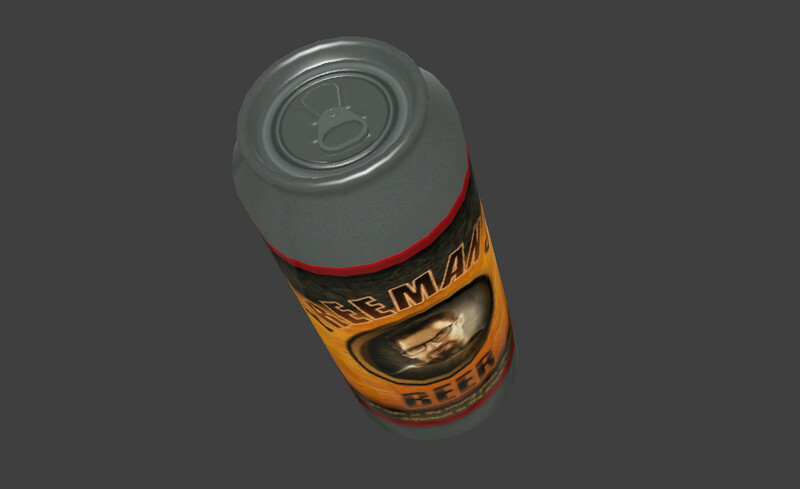 I think it will be better in MM mod animation.Instead pinpull, you will hear the sound of opening a beer can. Well, tomorrow morning. 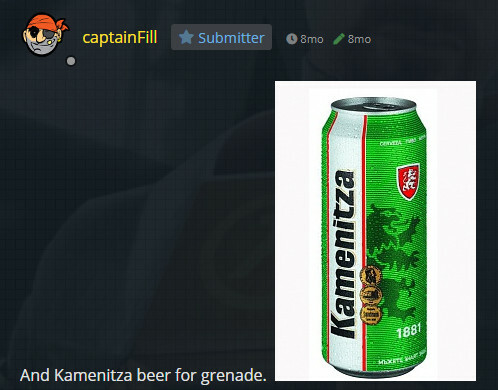 After Bourgas salami for crowbar now beer for hand grenade. 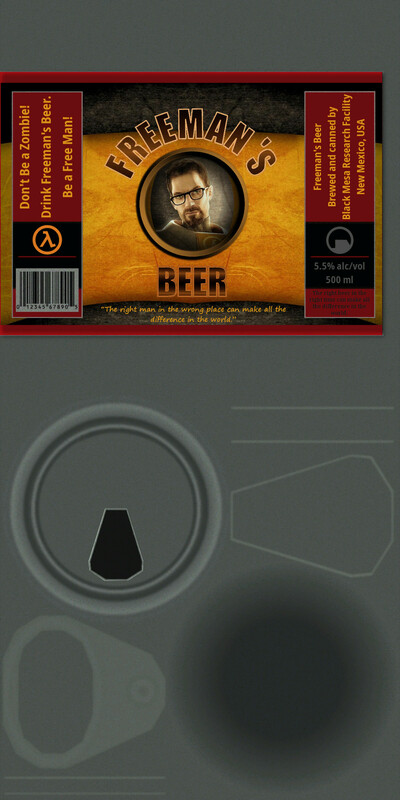 Label is only temporary, I'll make one for beer "Freeman", Black Mesa Brewery. 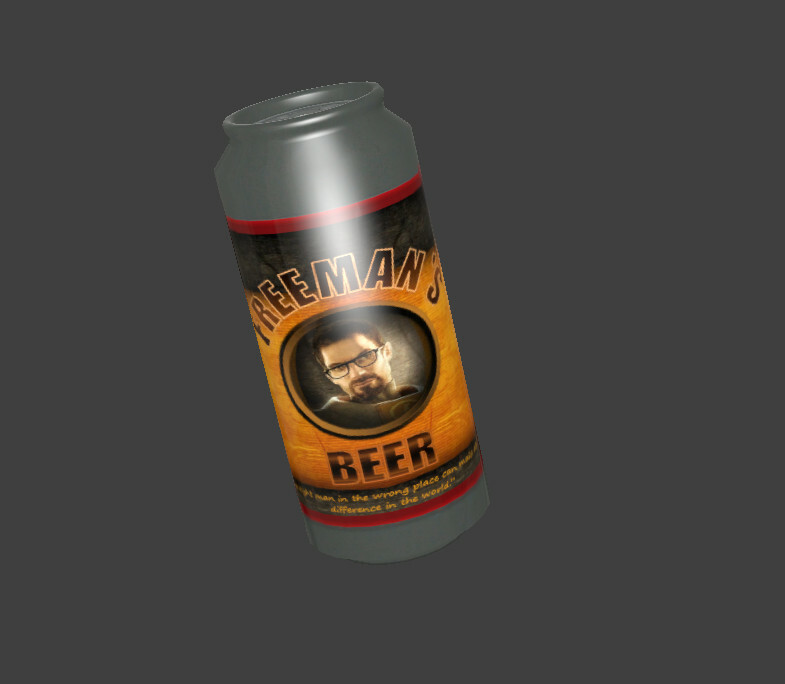 Don't be a Zombie, drink beer "Freeman" and be a free man. i appreciate the effort but WHERE IS BOURGAS SALAMI CROWBAR?